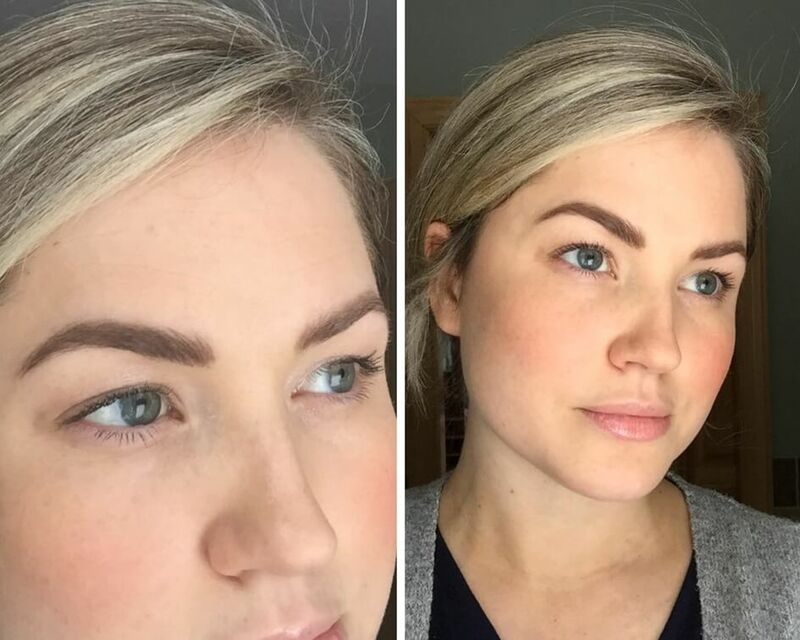 In January, I had my touch up for my microbladed eyebrows and I’ve been meaning to share the results with you! To say I love how they turned out would be an understatement. You can read more about my initial appointment and experience by clicking here. I loved the touch up because it allowed me to work with Rhonda to identify the places the microblading had faded more than I had hoped. 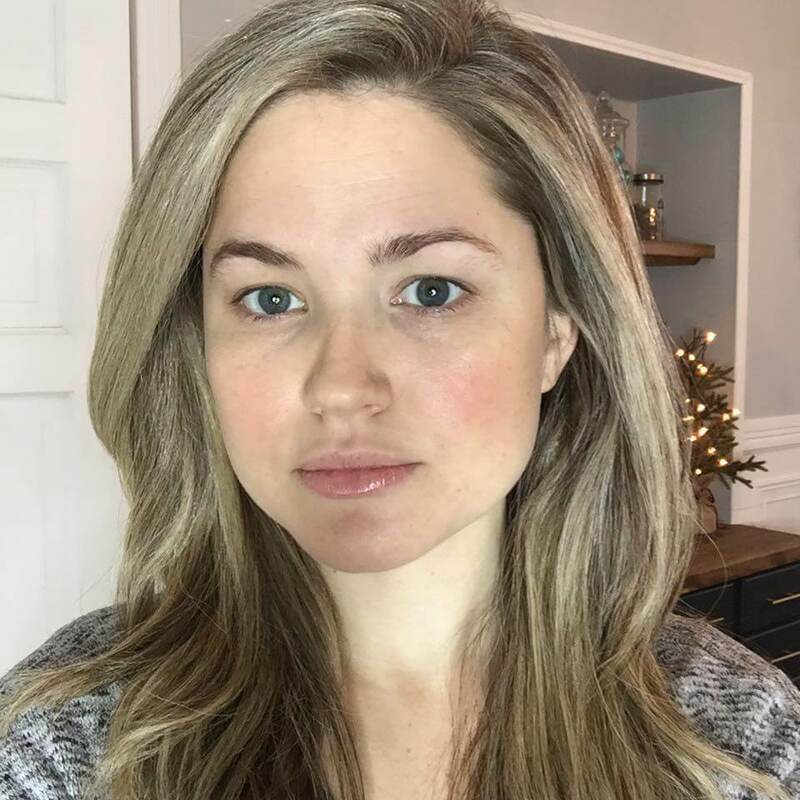 She was able to look at my brows and see where she could have applied more “passes” and I got to share with her where I felt they could be “thicker” or “darker” – all in all – the touch up allowed her to get a beat on what I thought about the initial application and procedure. Once we talked, she went ahead and basically followed the same steps as the initial appointment. My final result is great! I love the effortless look they achieve and I love waking up in the morning, brushing them with an eyebrow brush and being done. No time-consuming penciling in my brows. Now, if I want a more dramatic look, I will add a little bit of pencil, but my brows are already shaped the way I want (thanks to Rhonda’s perfectionist self). Aside from that, I go and get them waxed regularly and pluck carefully when I can. I’ve seen a handful of people on social media write about how they feel that it’s a “waste of money”…let me just say. It depends on the person. If you’re someone who has low maintenance brows to begin with and doesn’t spend time with a pencil or caring much for your brows, then you’re probably right – it may not be for you. But, if you’re someone who spends time getting ready in the morning and uses a pencil regularly or if you have thin brows from over plucking, whatever the reason, if you find yourself desiring more structured and groomed brows, microblading might be for you! This is how I like to explain the value to people who can’t see around the cost, as a lot of people mention the money is a road blocker. I understand that and everyone has that thing in life they choose to splurge on. When you break it down, for many, the value may feel 100% and completely worth it. And for others, maybe not? To each their own I say! Also, everyone has the draw to splurge (if they want and can) on different things in life. Some people like to buy the newest and best iPhone, some like to buy purses, clothing, and the list goes on. I recently took some photos of my eyebrows when they were complete (after the touch up)! Again, these are my brows with a little brush ran through them – that’s it! If you are looking to get yours done and live in the Marquette area. You should definitely make a consult with Rhonda at Superior Aesthetic. Just give them a call and set up your appointment 906-225-7126. You can also follow Rhonda on Instagram at @uplashandbrow to see her past work! Right now the cost to have your eyebrows microbladed with Rhonda is $400 for the initial appointment and then $50 for the touch-up. FYI you don’t want to skip the touch-up! If you’re still not sure, make sure to read my initial blog post with before and after pictures – click here.